Titan provides Prism Sound's renowned performance, sound quality and state-of-the-art clock technology in a dedicated unit compatible with both Windows (Vista and higher, 32 and 64 bit) as well as Mac OS X 10.5 and later (Intel). Once configured with a computer, Titan can also operate stand-alone using its S/PDIF or AES3 I/O. Verifile is a radical new proprietary technology exclusive to Prism Sound which allows computer audio streams and recorded files to be quickly checked for a wide range of clicks, errors and dropouts, without any compromise in the audio content or any additional metadata. Verifile is a solution to the issues of reliability that have plagued critical recording projects ever since the adoption of computer recording of audio. 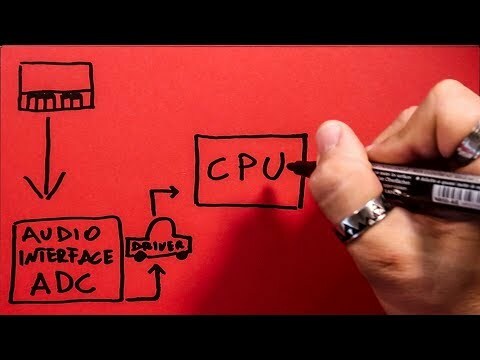 Typically, general purpose computers whether Mac, PC or other OS, are designed to perform a wide range of simultaneous tasks of which audio recording is just one. 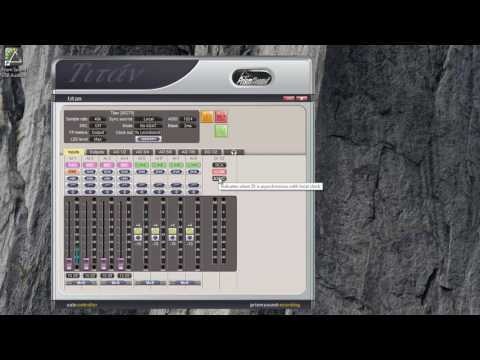 Even if the user would like audio recording to be given top priority, the computer's operating system is not designed that way, and (even if optimally configured, which they seldom are) it will, now and again, interrupt audio recording to do something else. This is especially true when dealing with many channels of high resolution audio, perhaps with low latency, which needs a continuous high data throughput. The result is usually a recorded 'dropout' of some kind: anyone who has recorded audio on a computer is familiar with repeated or missed samples or entire sections, random clicks, pops - even channel swapping. Verifile is a ‘fragile steganographic’ process which embeds derivative data within the dither of the ADC, containing a rolling hash code which allows the audio data to be thoroughly and continuously checked. Recovery of this data from the audio stream or file enables verification that the stream or file contains exactly the audio data that was produced by the ADC at the time of recording. Any incorrect samples, missing or repeated audio segments or any other audio errors in the resulting files can be reliably detected, providing complete confidence that the recorded file is error-free. Processing of any kind of a Verifile recording such as EQ, level changes, additional re-dithering, sample-rate conversion etc will result in a failure to decode the rolling hash code in the dither and hence indicate that the recording is not an original. Titan has the same no-compromise analogue front and back ends as Orpheus with the same fully-balanced-throughout architecture, the same isolation barriers protecting the analogue from digital and computer interference, but with a wider range of PC interface options. 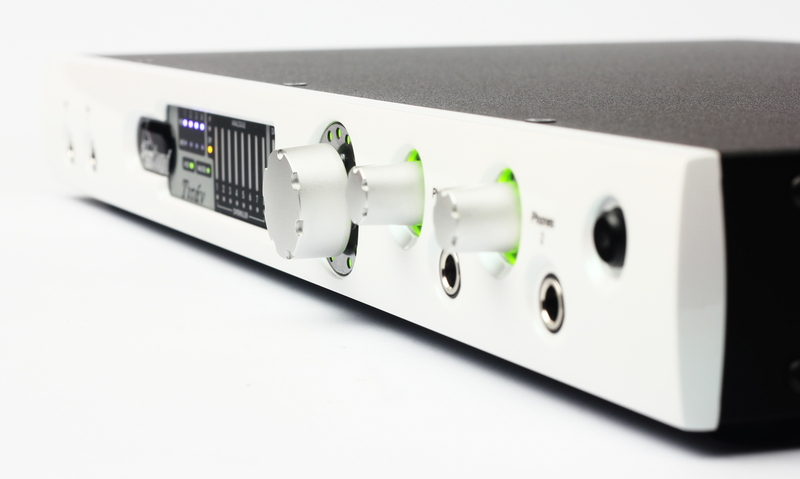 Atlas & Titan support Prism Sound’s MDIO expansion cards, which provide alternative “host” connections. The “host” is usually a computer and the Atlas or Titan interface provides a means of connection between the host and the external analogue and digital audio I/O ports. Without the MDIO expansion card fitted, the host connection would always be the default USB connection. The MDIO expansion slot provides an alternative host connection. It does not necessarily disable the USB port, but in the case of the Pro Tools interface MDIO-PTHDX, the USB port is switched off when the Pro Tools interface is to be used. Currently, only the MDIO-PTHDX expansion card is available. Others may be produced later. Over the years, Prism Sound's reputation for audio quality has been matched by its reputation for after-sales support and technical advice. Titan has the benefit of that support and customers have access to one of the best technical teams in the business. We believe that Titan delivers exactly what our personal studio customers have asked for - all the performance of a Prism Sound product in a dedicated USB unit that handles line, microphone and instrument inputs with good foldback and monitoring capabilities, yet at a more accessible price tag. We are confident that customers using the new Titan converter will agree that it sounds as good as it looks. 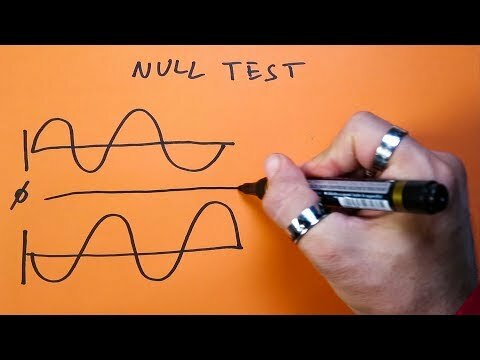 Null Test Explained: A Pro Audio MUST KNOW!